GJ Insurance Consulting Pty Ltd (GJIC) celebrated 15 years of service in 2014. We pride ourselves in providing unique "Camping Insurance Solutions" for Camping & Conference Centres right across Australia. GJIC are an authorised representative of PSC Connect Pty Ltd, one of Australia's leading Insurance Broking firms and are part of Steadfast, Australia’s largest Broker Network. This alliance provides GJIC with small business flexibility teamed with big company clout. With access to a large range of underwriters, broad product choices and superior products, this means a greater range of insurance solutions to meet your needs. 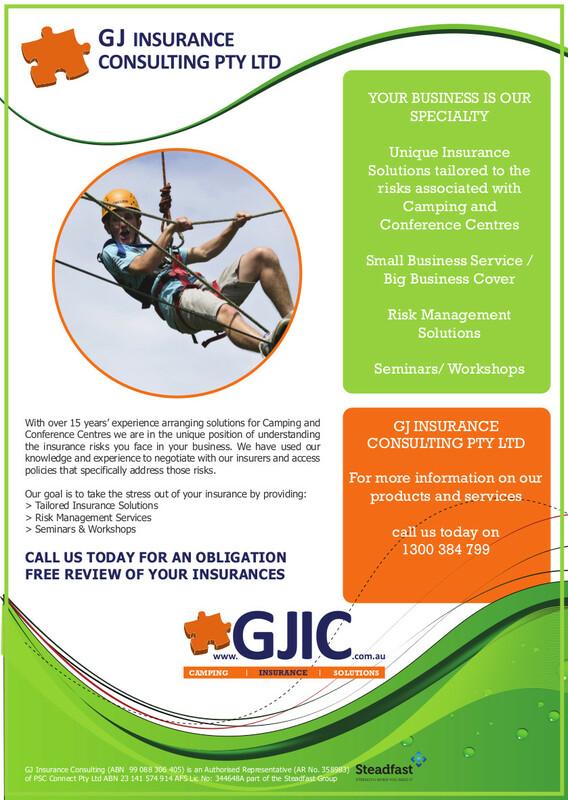 GJIC are committed to serving Camping & Conference Centres with exceptional customer service and superior insurance solutions. Our passion is to partner with you to provide them with quality insurance products and Risk Management assistance so you can concentrate on running your business professionally. 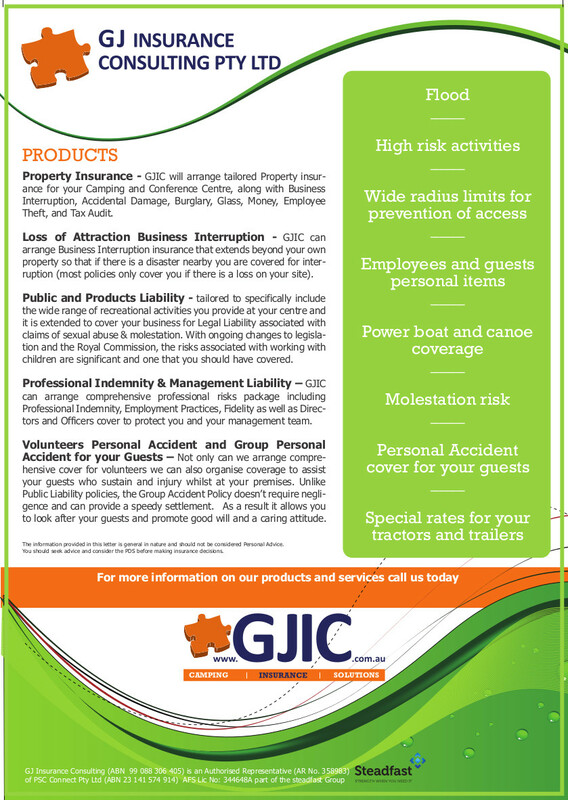 GJIC provide seminars and workshops on insurance and risk management.